Before you bring your new puppy home, be sure to check out this guide! We want you and your pup to be comfortable and safe as you start your life together, so we’ve compiled a list of all the necessary supplies. From a safe and adjustable harness to the perfect pup shampoo, we’ve got you covered. This classic, solid-colored collar is durable and easy to adjust. 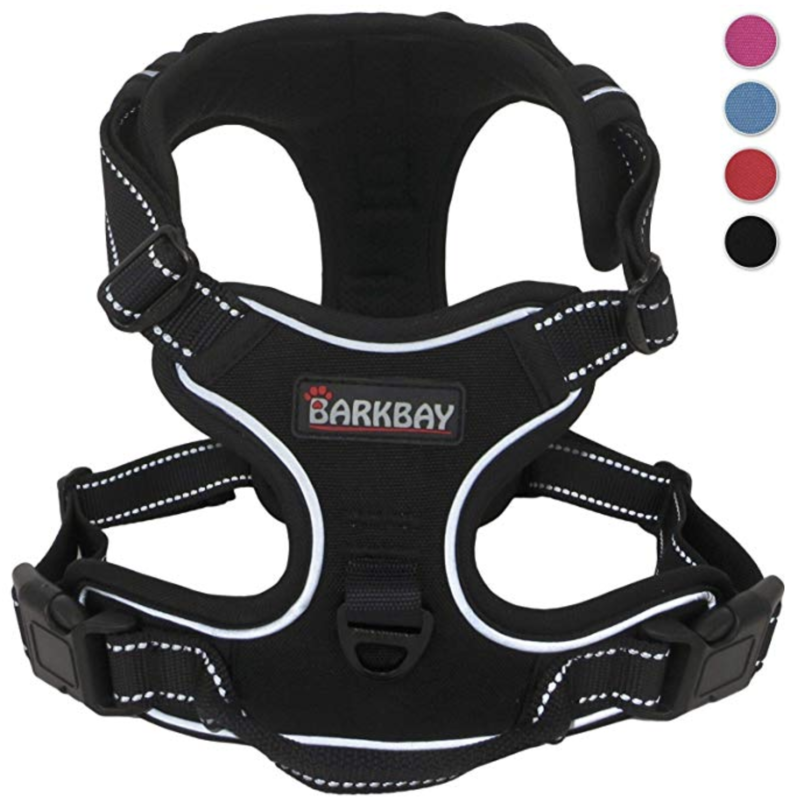 It’s perfect for your puppy’s first one; it’s not too heavy or complex. 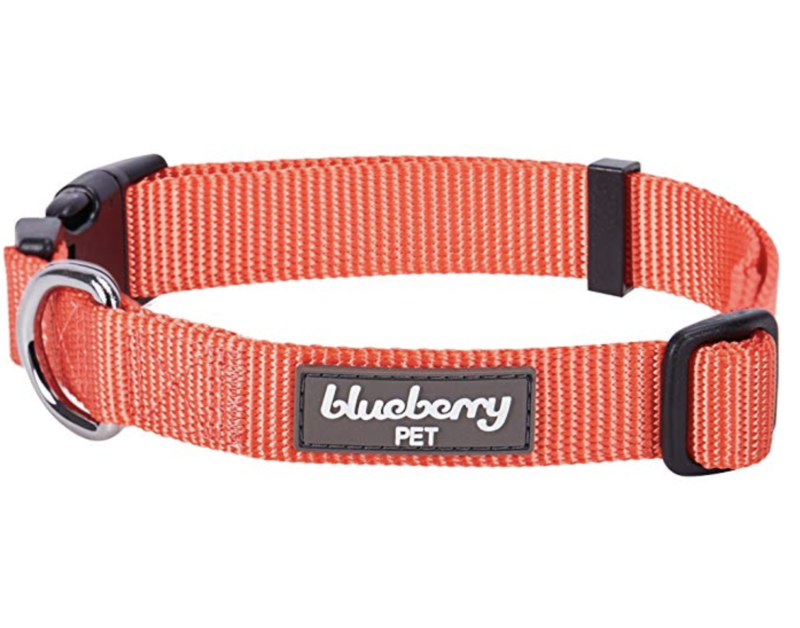 They offer a wide selection of colors so you can choose the right one for your pup! Don’t forget to adjust your pup’s collar as they grow. A no-pull harness is great for dogs that are still learning to walk on a leash. In addition, it’s non-chafing and perfect for everything from running and hiking to short strolls around the block. 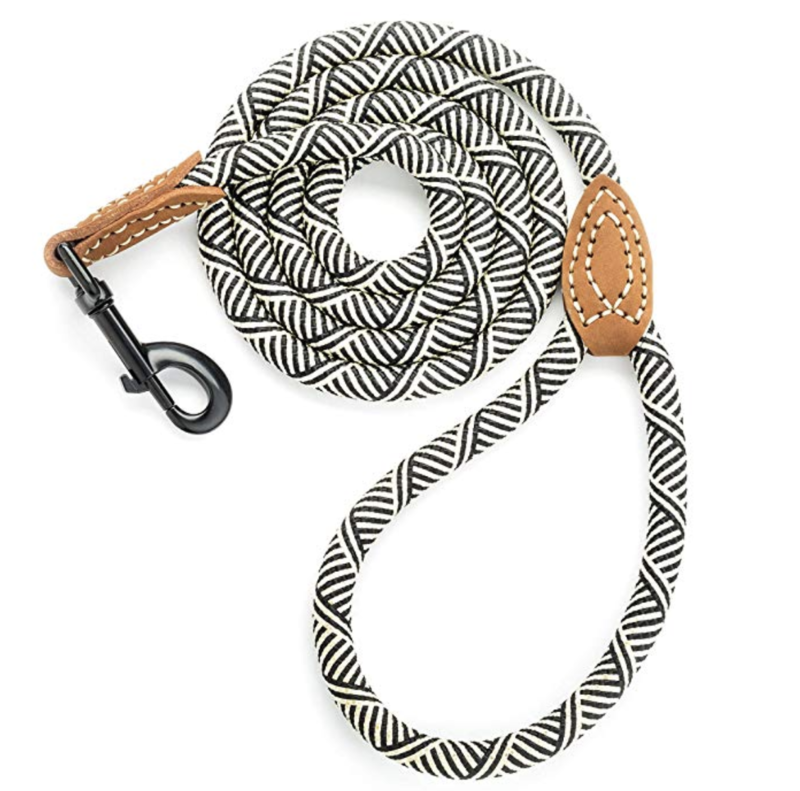 This durable and patterned leash is made of mountain climbing rope! Furthermore, it’s functional, comfortable, and offers a nice grip, helping you keep your pup close and secure. 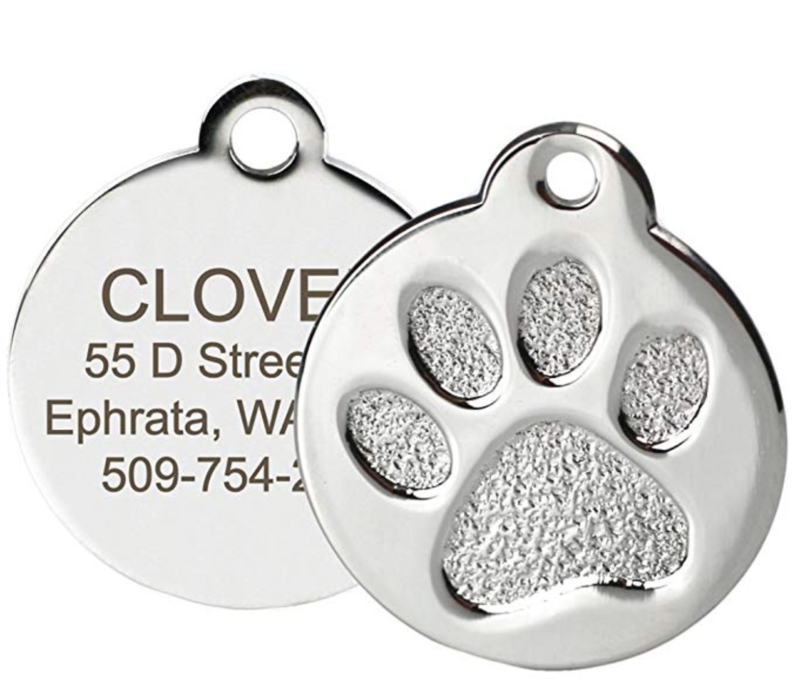 This stylish and lightweight ID tag allows you to choose up to four lines of personalized text so your pup can be identified wherever they are, especially when they’re at the vet or meeting new people on their daily strolls around the neighborhood. 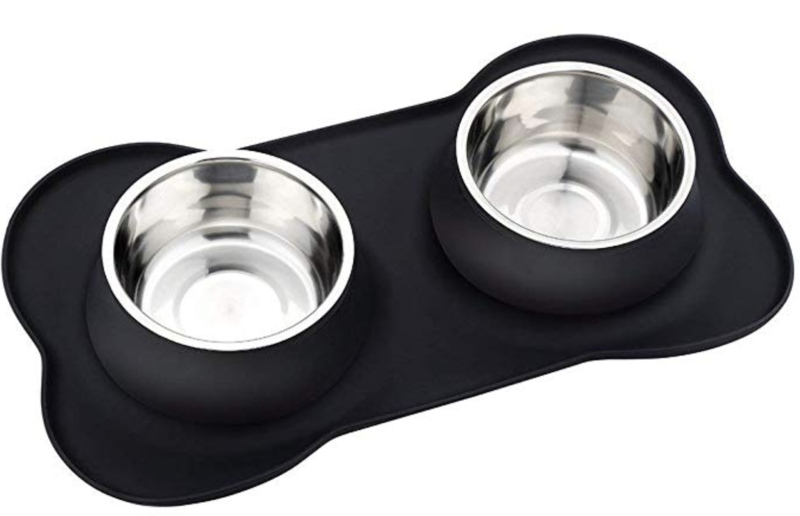 Both of these bowls are attached to a non-slip surface so your puppy’s voracious appetite won’t cause their meals to spill! Made with quality stainless steel, these bowls are dishwasher safe and built to last. 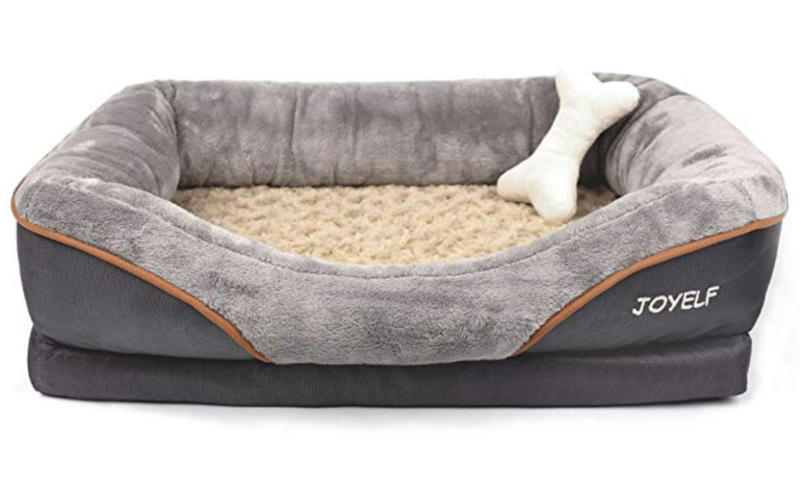 This memory-foam dog bed will keep your pooch cozy for years to come. The bottom is lined to prevent slipping, the cover is washable, and raised sides offer superior comfort so your pup can sleep like royalty! Don’t forget an Embark Dog DNA test for your new puppy. 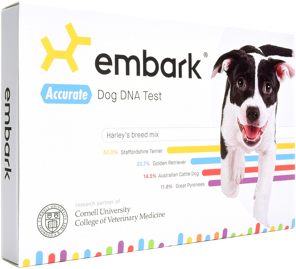 Embark tests for over 250 breeds and more than 170 health conditions, making it a great addition to your pup’s wellness plan. We might even be able to help you locate their relatives with our Doggy DNA Relative Finder. 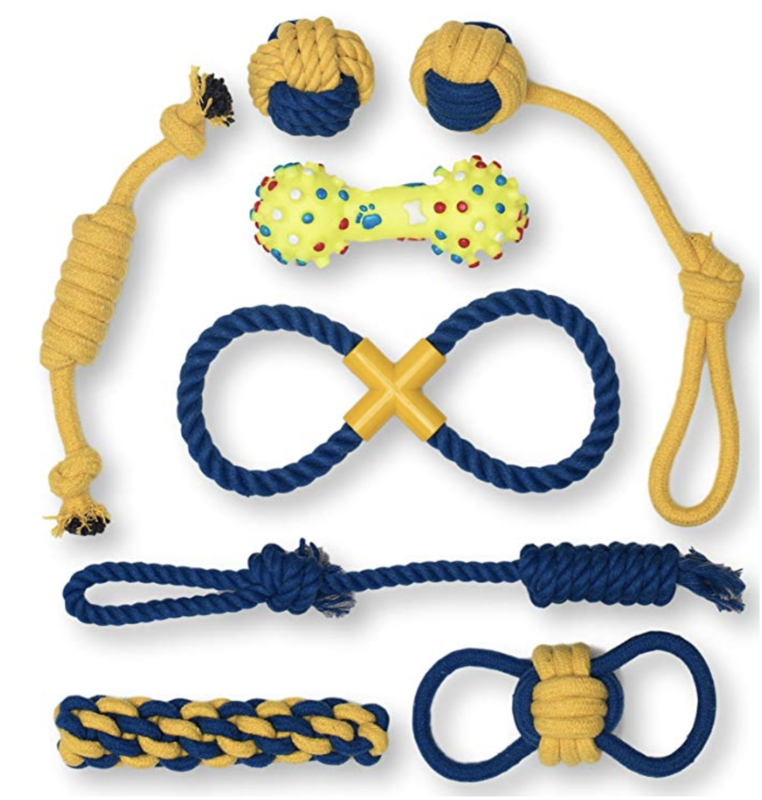 When bringing a new puppy home, you’ll want to have plenty of durable toys for them to chew on. This pack of eight will keep your pup occupied and give them something to bite into so they are more likely to avoid your hands with those sharp puppy teeth! As an added bonus, these toys are designed in colors your dog will see clearly. For safety reasons, be sure to keep an eye on them while their toys are out! Trimming puppy nails can be daunting, but these nail clippers make it a little easier. These clippers are designed for comfort while grooming your pup at home. 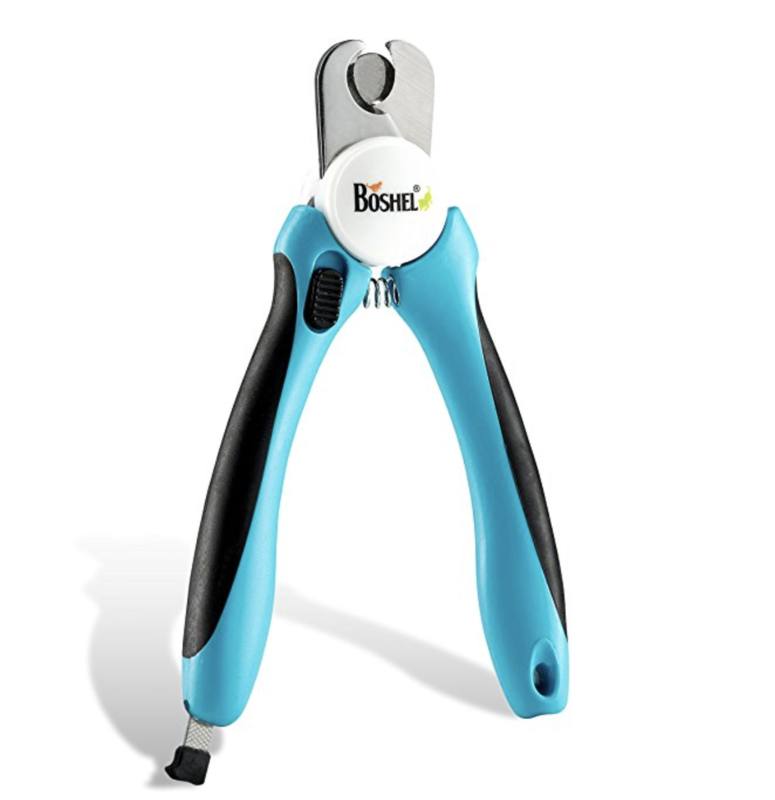 Made with easy grip ergonomic handles, the overall design will help keep you from trimming their nails too short! Crates provide a safe place for puppies to stay when owners are away. It also stops them from engaging in destructive behaviors around the home. This crate is a safe and secure little spot for your new puppy to hang out while you’re away. It has a single door and can be folded for additional space when not in use. 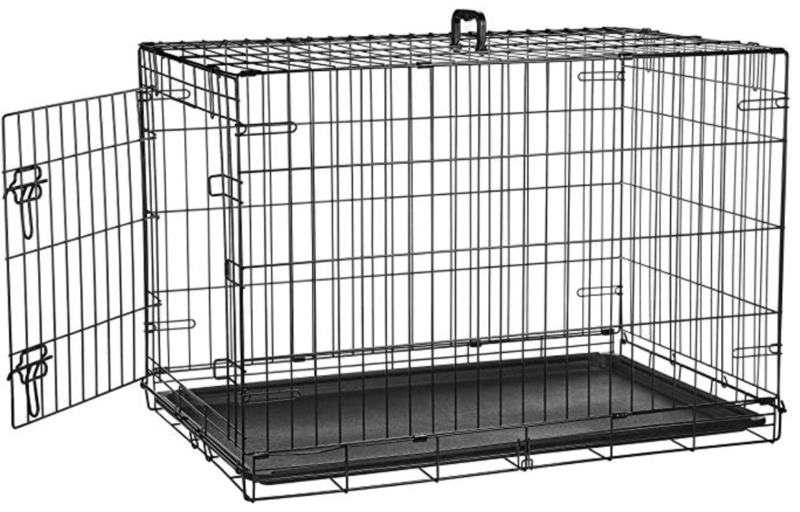 Varying sizes make it easier to find the crate that will fit your puppy perfectly. This handy brush will help remove excess hair from your pup’s topcoat and undercoat without damaging their delicate skin. 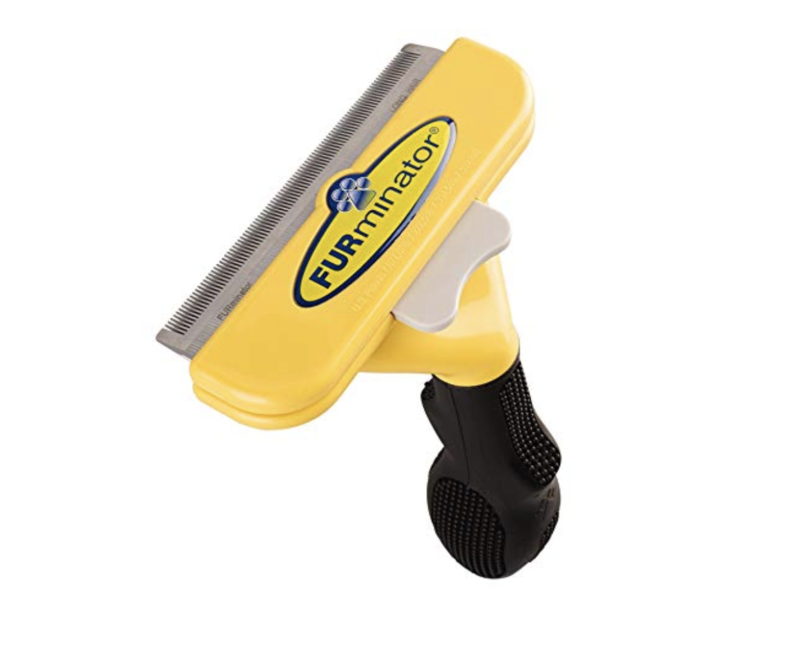 Perfect for seasonal shedding, the Furminator is comfortable and easy to use. This natural shampoo is free of sulfates, colorants, and parabens so it’s gentle on puppy skin! Additionally, it’s a safe and effective alternative to harsh chemicals found in some doggie shampoos so you can feel better knowing your new family member is clean and feels good without budging on quality and safety. For more new puppy supply suggestions, check out our Pinterest board! Are you interested in learning even more about your new puppy? We are here to help! Purchase your Embark Dog DNA Test today.